Lotario de’ Conti was born about 1160 to an aristocratic Italian family. 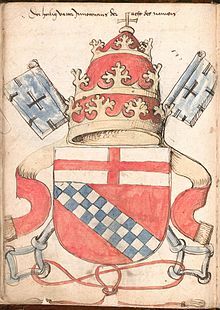 Over a period of 500 years, his family gave the Church thirteen popes, three anti popes, forty cardinals and a queen. Pope Innocent III is considered to be one of the greatest medieval popes. Having studied canon law, he was known as a lover of justice and an accomplished judge. 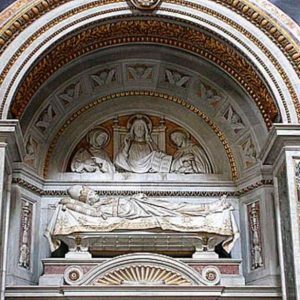 Elected pope at the young age of thirty-seven, Innocent III brought youth and vibrancy and a great intellect to the papacy. He possessed great diplomatic skills as well. Because the length of his pontificate spanned a period of eighteen and a half years, Innocent was able to accomplish political and spiritual endeavors that had far-reaching effects. Politically, he oversaw several conflicts involving emperors and kings and the expansion of the Papal States. He was instrumental in bringing kingdoms to accept his authority over their own temporal authority. He used diplomatic means and great shrewdness to bring about the desired ends in a number of delicate, political situations. While the demands of the 13th century papacy appear to us in the 21st century to be primarily political—and Innocent’s myriad accomplishments in this arena are endless—it is probably true that for those of us professing the Catholic faith, his spiritual achievements are of more lasting value. In 1215, Innocent III convened the 4th Lateran Council. Of significance during his own era was the condemnation of the Albigensian heresy in southern France and other heretical issues of this time. The Council encouraged learning, an understandable bequest of a pope of such intellectual prowess. The Council called upon the secular powers to help eradicate heresy. Significant even to our own time, was the definition given to the real presence in the Eucharist, transubstantiation. The Council also decreed that all Catholics must receive the Eucharist during the Easter season. On a more somber note the Council insisted Muslims and Jews in Christian societies be identified by distinctive markings on their clothing—a decision known to have far-reaching affects in the 20th century. This period was the time of the Crusades and Innocent proclaimed the 4th Crusade, which ended in disaster. 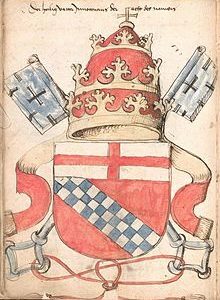 His brazen call for a ‘crusade’ against the Albigensians of southern France remains a blight on his papacy. 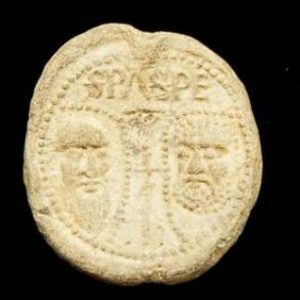 These Manichean heretics had settled in the regions along the Mediterranean, an area that extended from northern Spain, throughout southern France and into a small part of northwestern Italy. They were especially prevalent in the south of France among the speakers of the Langue d’ Oc. 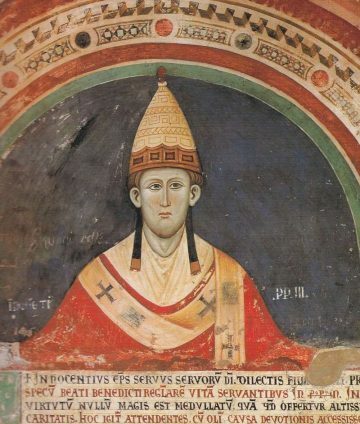 The murder of a papal legate there led Innocent III to call for the Crusade. Secular and political issues became inseparable from the purely religious ones and those counts of the region who tolerated the presence of the Albigensians had their lands confiscated and their civilization effectively destroyed. Although Innocent III condemned the excesses of the Crusaders, he most certainly was involved in the planning of the Crusade and the expropriation of the lands of the local nobles. Had he done nothing else but encouraged the orders promulgated by Francis of Assisi and the Spaniard, Dominic Guzman (St. Dominic), Innocent III would have left a legacy to the present day. As it was, the man who was elected to the papacy while not yet a priest (he was ordained a month after his election) was an extraordinary influence in his own day achieving more political success than any other pope up until that time. 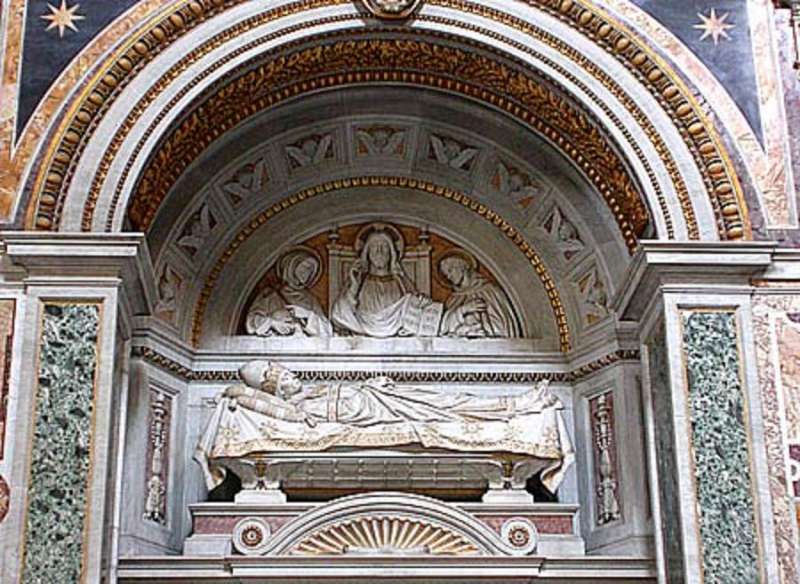 Innocent III died in 1216. In the papal artifacts the oldest item in the Collection is a bulla from the papacy of Innocent III.